This paper reports on optical waveguides using liquid crystals (LC) as core. 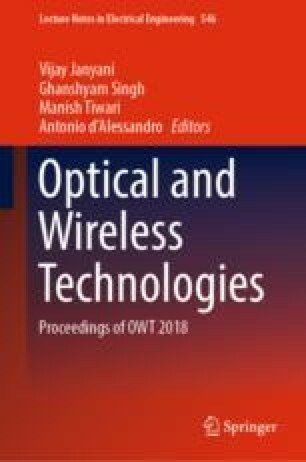 Such optical waveguides have the advantage to be controlled by a low voltage electric field or by using an optical beam by exploiting the highly efficient electro-optic or nonlinear optical effects, respectively. Optical switches based on LC embedded in silicon grooves have been reported with on–off contrast over 40 dB by applying about 8 V. Recently, a novel technology based on LC embedded in polydimethysiloxane (LC:PDMS) have been also developed to make photonic devices based on electro-optic waveguides on flexible substrates for telecom and sensor applications. An interesting feature of this guiding structure is that propagation is polarization independent. This technology has been employed to design a 2 × 2 optical switch based on a zero-gap electro-optical controlled directional coupler able to switch light from one output port to another by applying less than 1.8 V with an extinction ratio better than 16 dB.